Over Yonder Cay is powered by the wind and sun. 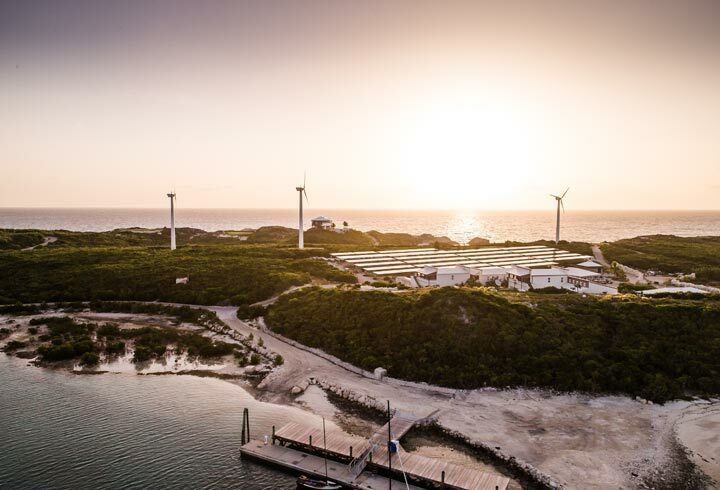 The island’s renewable power system consists of three wind turbines, a 1.5-acre solar field, 2 days of battery storage and backup generators – all coordinated by an intelligent weather-forecasting micro grid controller. Visitors enjoy a quiet, generator-free island with 24-7, ultra-reliable renewable power. When there is excess renewable energy production, it is automatically diverted to making all of the island’s drinking and irrigation water. Additional excess energy is used to heat the pools and jacuzzis on the island. The three Northern Power Systems 100 kW wind turbines feed directly onto the AC grid. Our 720 kWp solar field is made up of approximately 2,300 photovoltaic panels, whose pitch is adjusted according to the season. 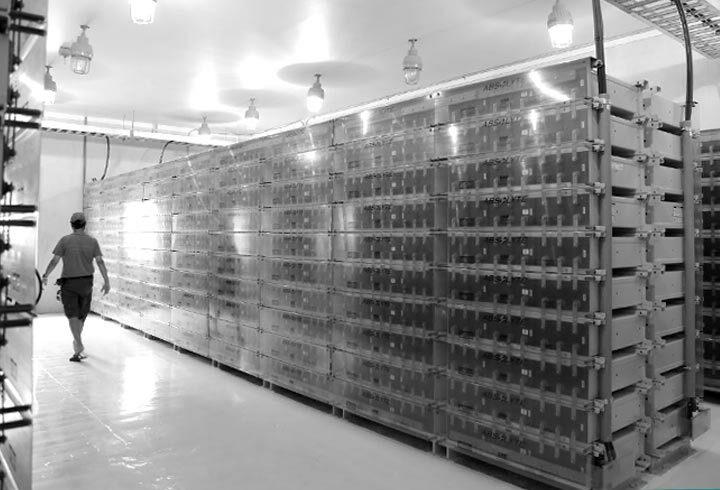 At the heart of the power system is a battery storage system that powers the grid when renewable production is low or off. On the rare occasions when they are needed, diesel generators automatically start up to provide power to the island. Over Yonder Cay was developed with the intention of applying renewable energy production in such a fashion that the cost of energy would be far less expensive than conventional thermal (diesel, heavy fuel oil, etc.) power generation. Today, the island is currently achieving a 96% renewable penetration and is producing its own drinking and irrigation water when excess renewable power is available, further reducing its environmental impact. 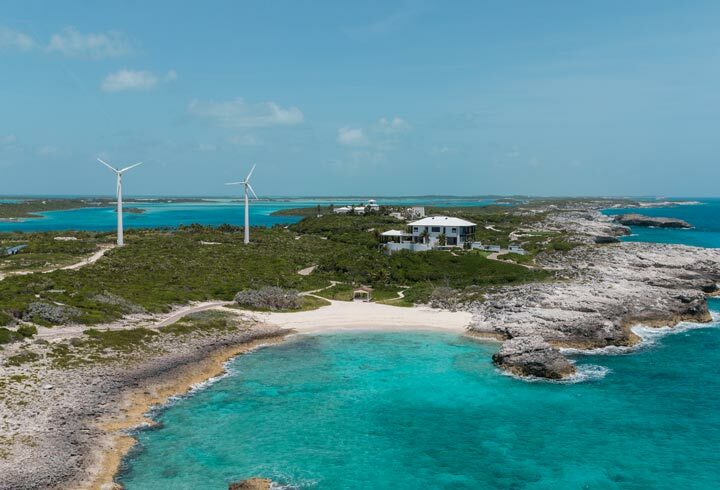 Over Yonder Cay’s commitment to renewables is ongoing, with the island leading research and development into remote integrated renewable energy systems and micro grids. Over Yonder Cay’s renewable micro grid is operated by an intelligent, weather-forecasting controller. This controller is constantly optimizing the way the island produces and uses energy. This interactive part of the website, presents real live data that has been stored over the past week on Over Yonder Cay.